This is the fourth edition of the Managed Money Report, which is devoted to both the supply and demand sides of the managed money business in Canada. 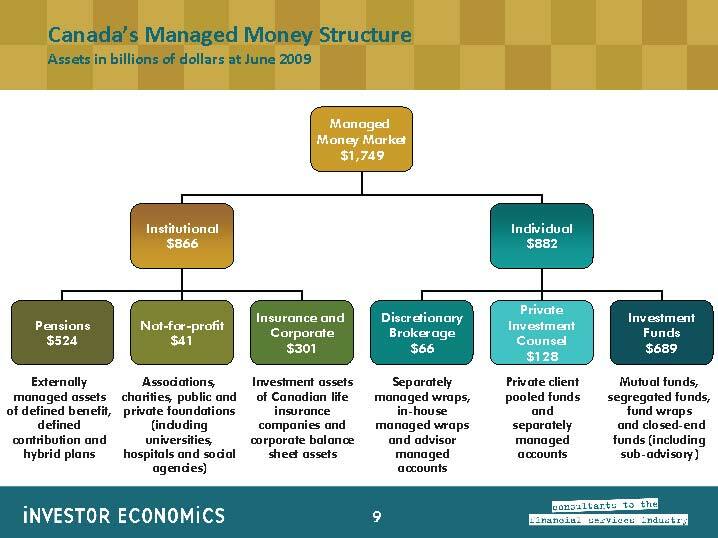 The report, which deals with industry data at June 2009, comprises three main sections: The Big Picture, Institutional Managed Money, and Individual Managed Money. 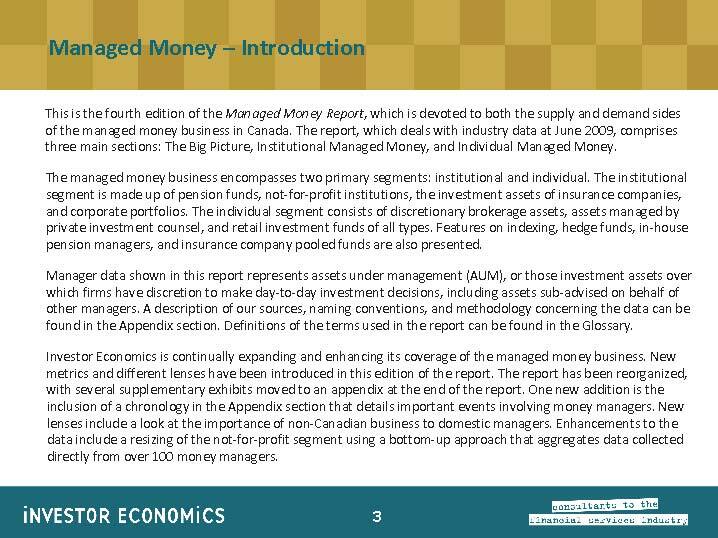 The managed money business encompasses two primary segments: institutional and individual. The institutional segment is made up of pension funds, not-for-profit institutions, the investment assets of insurance companies, and corporate portfolios. 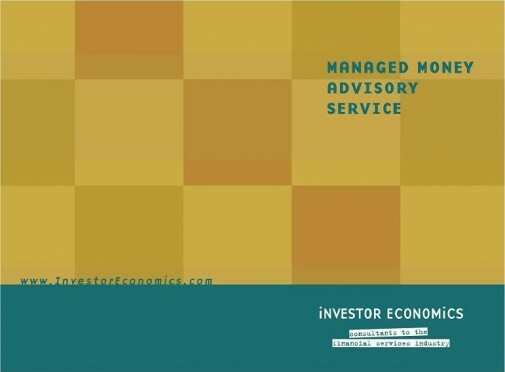 The individual segment consists of discretionary brokerage assets, assets managed by private investment counsel, and retail investment funds of all types. Features on indexing, hedge funds, in-house pension managers, and insurance company pooled funds are also presented. 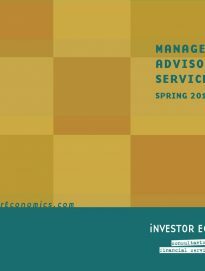 Manager data shown in this report represents assets under management (AUM), or those investment assets over which firms have discretion to make day-to-day investment decisions, including assets sub-advised on behalf of other managers. A description of our sources, naming conventions, and methodology concerning the data can be found in the Appendix section. Definitions of the terms used in the report can be found in the Glossary. Investor Economics is continually expanding and enhancing its coverage of the managed money business. New metrics and different lenses have been introduced in this edition of the report. The report has been reorganized, with several supplementary exhibits moved to an appendix at the end of the report. 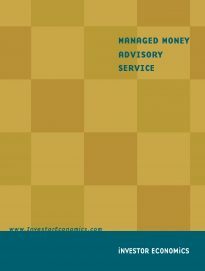 One new addition is the inclusion of a chronology in the Appendix section that details important events involving money managers. 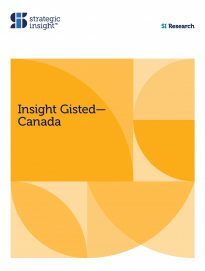 New lenses include a look at the importance of non-Canadian business to domestic managers. 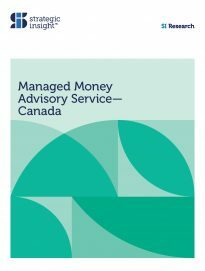 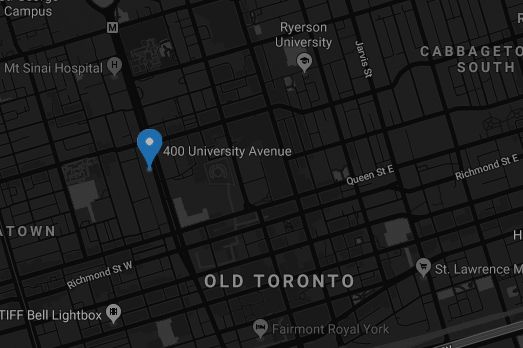 Enhancements to the data include a resizing of the not-for-profit segment using a bottom-up approach that aggregates data collected directly from over 100 money managers.